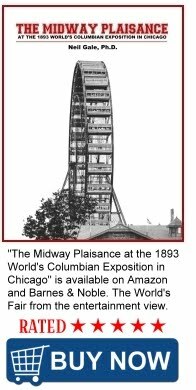 Before Chicago inaugurated its famed elevated "L" train system in 1892, Chicago was home to the world’s largest and most profitable network of cable cars. Cable car bound for Jackson Park making its way down south Cottage Grove Avenue below 39th Street. On this particular day, the cable snapped so the cable cars had to be pulled by horses. (Chicago Daily News Photo) Note the advertisment for the Chicago Auto Show which began in 1901. 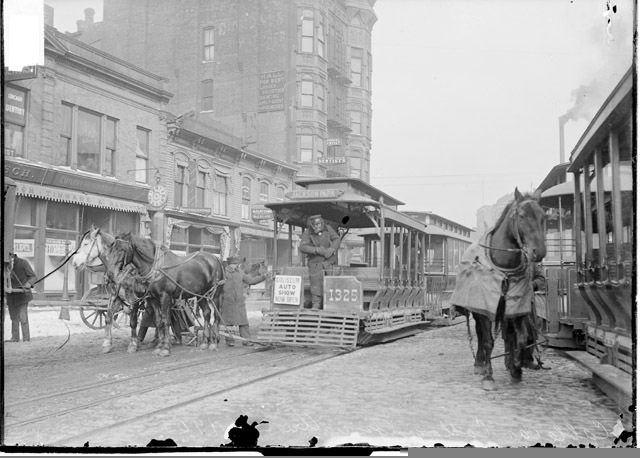 The first street cars were pulled by horses. Cable cars were the next iteration, powered by a single, continuous cable that ran the length of the route. Cars propelled and stopped themselves by attaching and detaching from the moving line. The cable car lines spanned the length of what was then the city's boundaries. The Chicago City Railway serving the South Side had two lines that both originated in one of the earliest versions of the Loop; The State Street line ran down to 39th Street and was extended to 63rd Street in 1887. The Wabash/Cottage Grove line ran down Wabash Avenue to 22nd Street, then down Cottage Grove Avenue to 55th Street. It was extended to 71st Street in 1891. The West Chicago Street Railroad ran a Milwaukee line up to Armitage; a Madison line to 40th Street; a Blue Island line to Western Avenue; and a Halsted Street line to O’Neil Street (now 23rd Street). The North Chicago Street Railroad ran lines on Clark Street up to Diversey; on Wells Street up to Wisconsin; Lincoln Avenue up to Wrightwood; and Clybourn up to Cooper (now Bosworth Avenue - 300 feet east of Ashland). 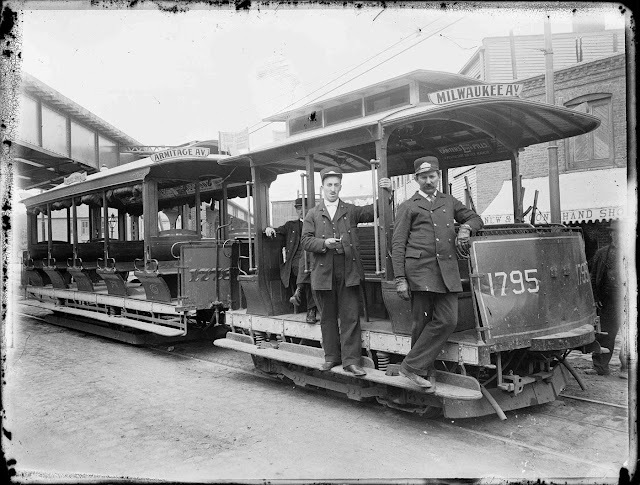 The last cable car arrived at a powerhouse at State and 21st Streets on October 21, 1906, lucky to avoid the mobs that had ripped apart the cars of the final cable trains that traveled the Madison and State Street routes that summer. I'm curious. What was the method of propulsion of the cable itself? Electric motors or some other form of energy? All three companies used similar infrastructures, with large steam boilers and reciprocating engines driving long endless cables through conduits. At their peak there were 13 powerhouses driving 34 cables. Different cables could run at different speeds, the CCR’s loop originally ran at 4 mph (6.4 km/h) (increased to 8 1⁄2 in 1892) while outlying cables could operate at 14 mph (23 km/h).